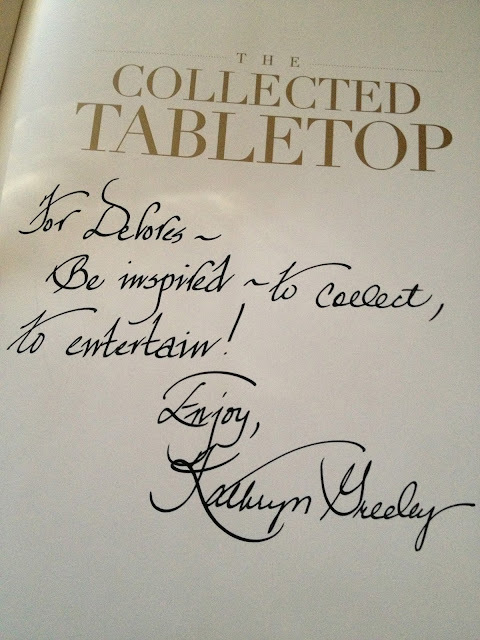 Just when I thought I had no more tablescapes in me, a signed copy of "The Collected Tabletop" arrived from Kathryn Greeley. 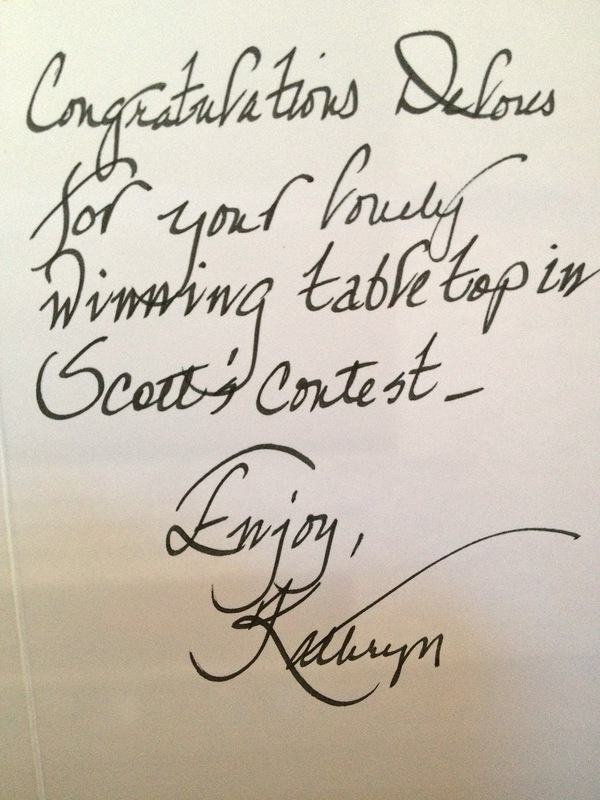 Did I fail to mention that I won Tartanscot's Christmas Table contest? I did, and this was my prize! This book has my name written all over it! 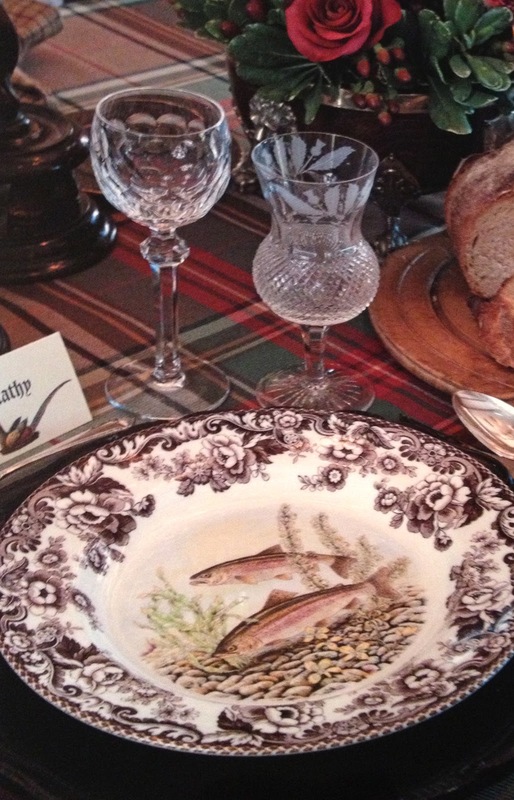 For instance, I'm working on a tablescape at the moment using these dishes, and of course the plaid is a must! There are so many wonderful tablescapes featured in this book, but my favorite is the Scottish Gamekeeper's Dinner. 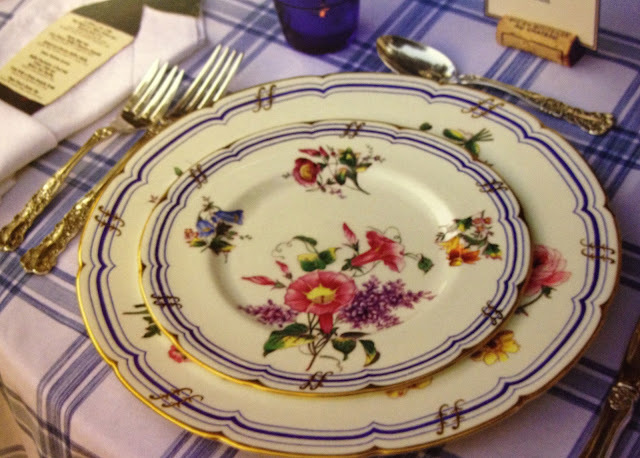 The table is set with her game china collection, Bernadotte, Spode and Johnson Brothers, which all coordinate and compliment one another. 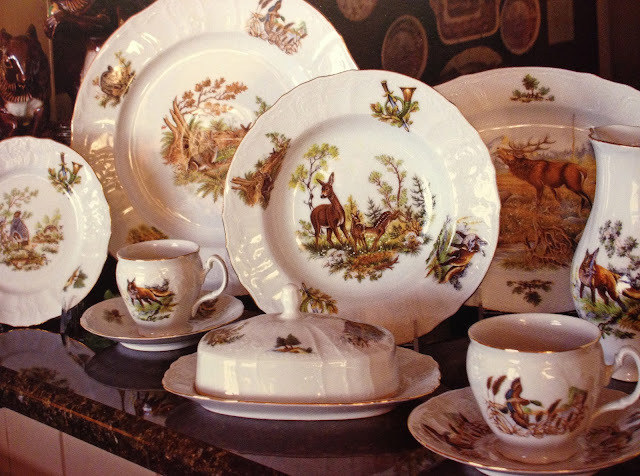 I'm in love with these dishes from Czechoslovakia. 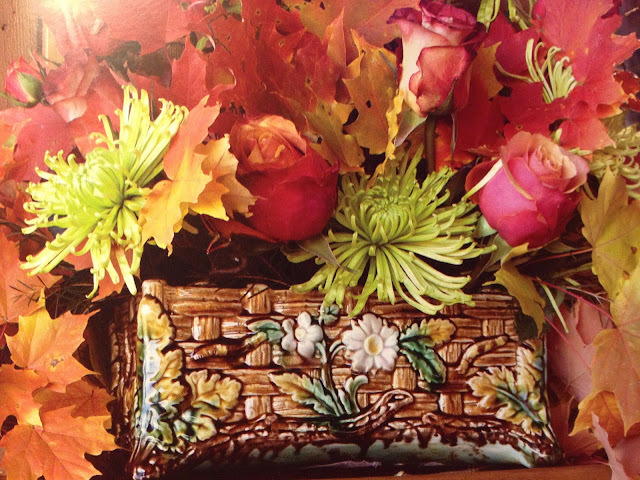 ...and majolica, which she used for the Fall Football table. 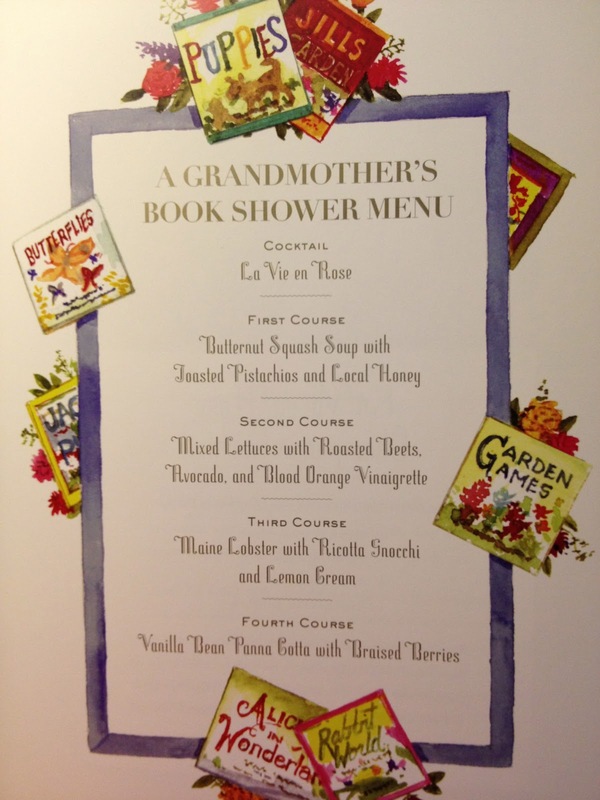 I thought her Grandmother's Book Shower table and menu adorable. What a great idea for a first time grandmother! 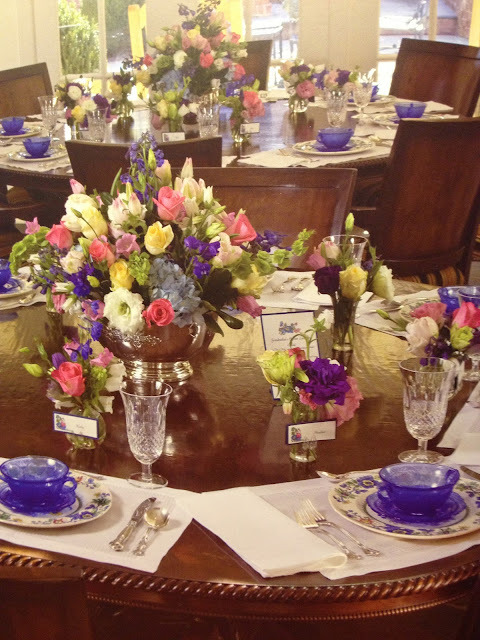 She set the table with Mason's Strathmore Blue china. 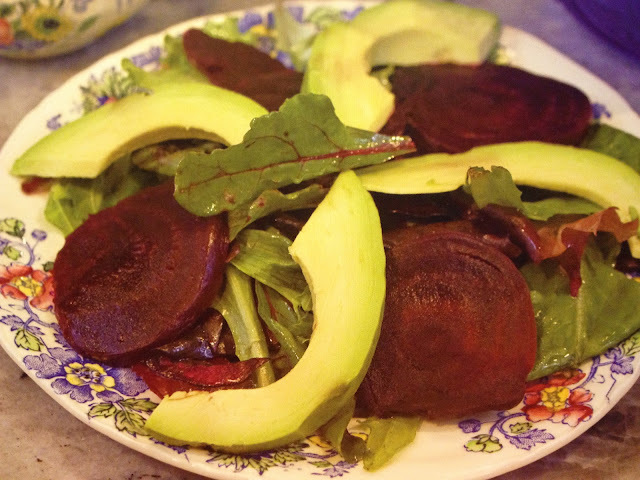 Even the salad compliments the pattern! 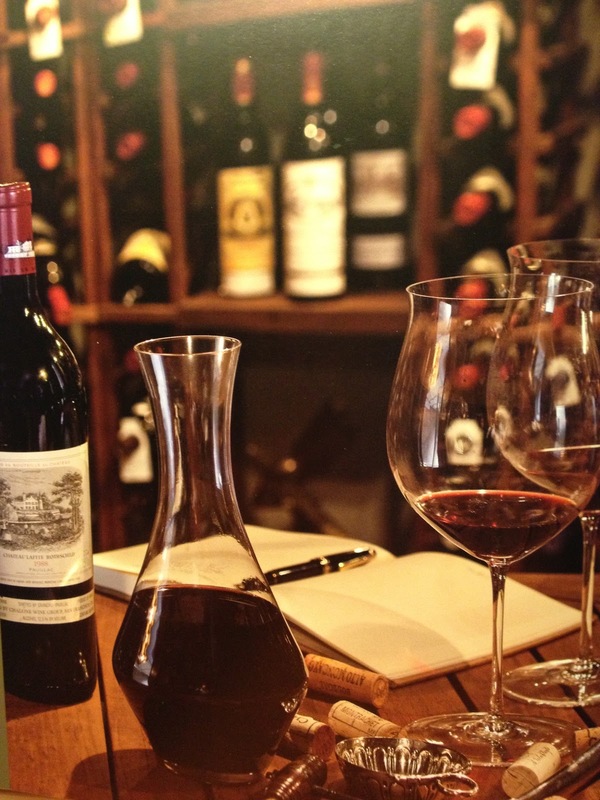 The Wine Tasting table also inspires me. 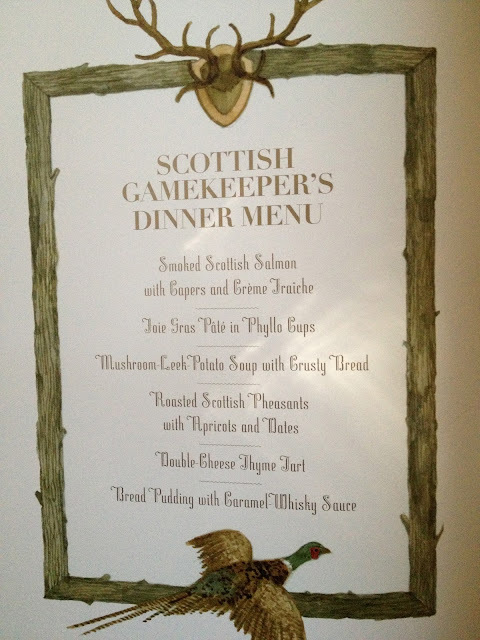 I especially like the menu cards. 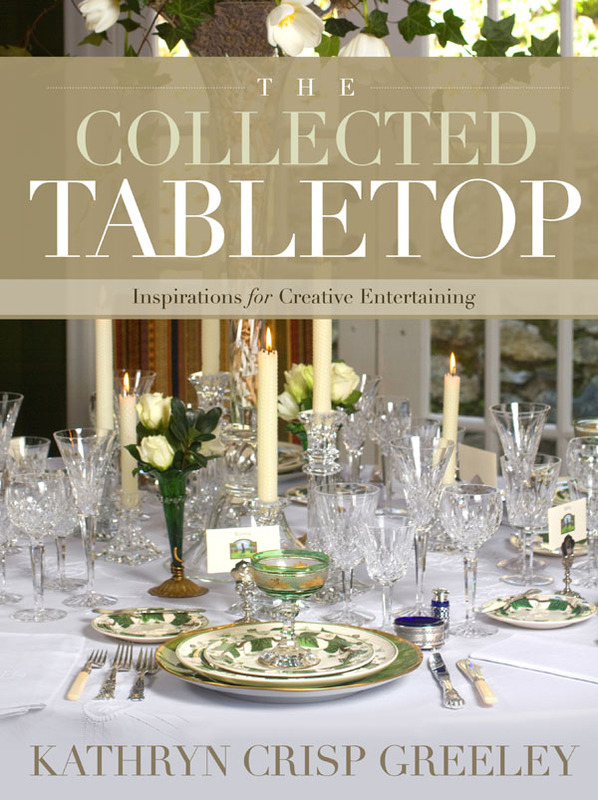 There are so many creative ideas for entertaining in this book, and I know I will be referring to it for inspiration for years to come. Thank you Kathryn Greeley for inspiring me to entertain, and to collect. I think we are kindred spirits! 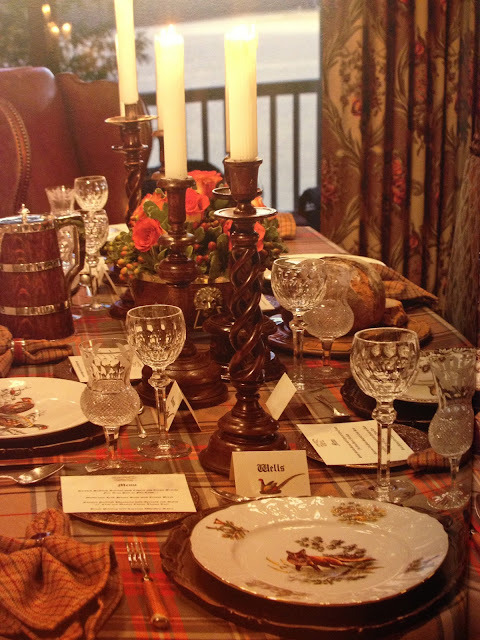 Thanks also to Scot Meacham Wood for hosting his annual Christmas Decorating Contest at Tartanscot. It's always fun to see all the fabulous entries, and I'm truly honored to be the chosen winner of the table top contest. Delores, this is wonderful! 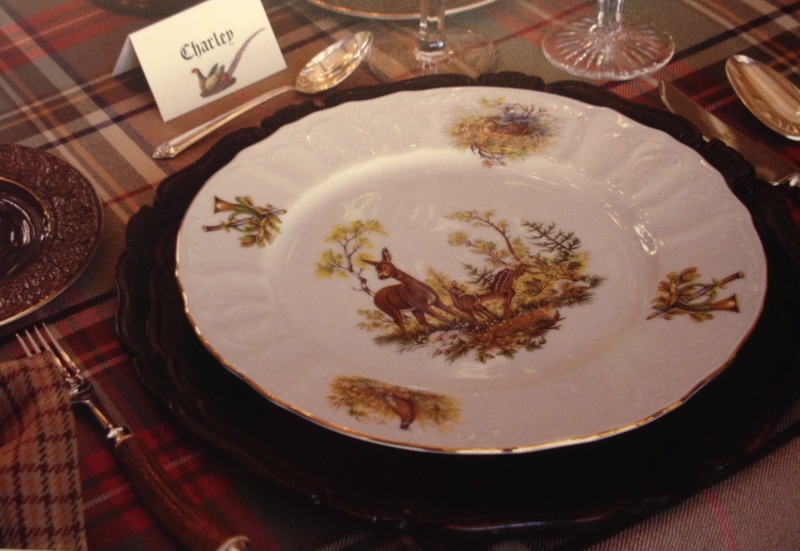 I hopped back to see your Christmas table and I do believe they chose very well. Congrats on the win. You deserve it!!! And it couldn't have been a better prize for you. I'm sure your inspiration will take off and we will reap the benefits by living vicariously through the lens of your camera. Delores, congratulations on the win again. I fondly remember your table. It is definitely a winner! 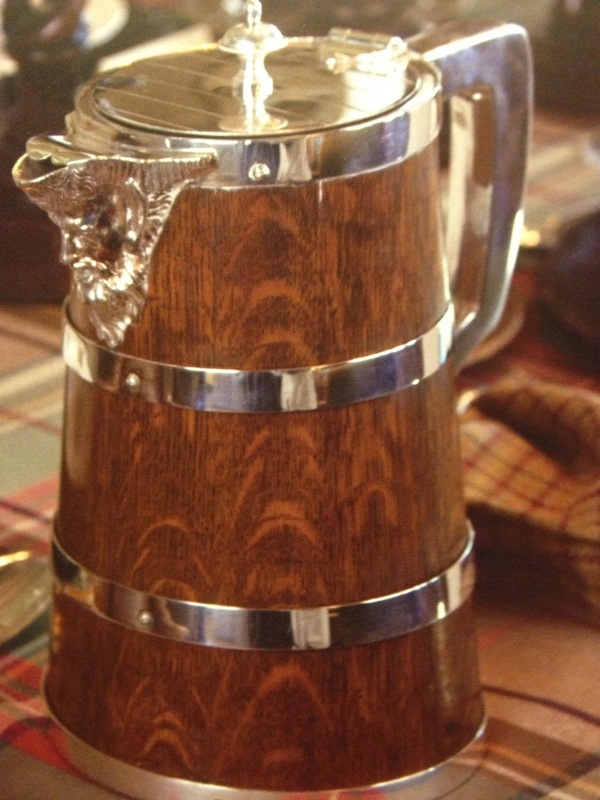 Don't remember if I said congratulations, but I did notice that you won. I think I might have been traveling at the time. 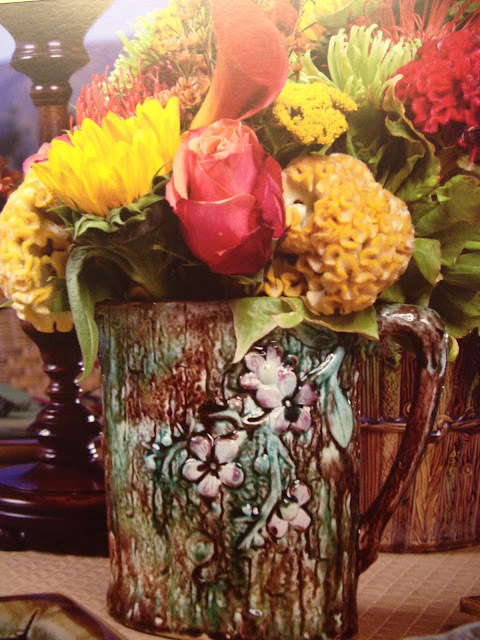 I bought that book when it first came out, and it is a wonderful source of inspiration. Congratulations Dolores! Well deserved award:) Such a wonderful book filled with lots of great ideas. Enjoy your weekend! I can just picture you in your reading chair with a cup of tea, just absorbing every nuance of each and every beautiful image in your well deserved prize book!! 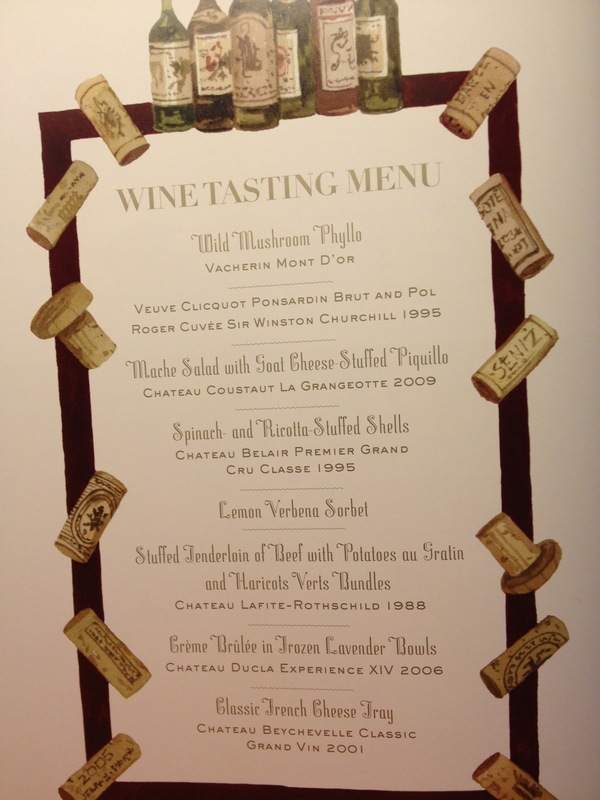 Congrats Delores! 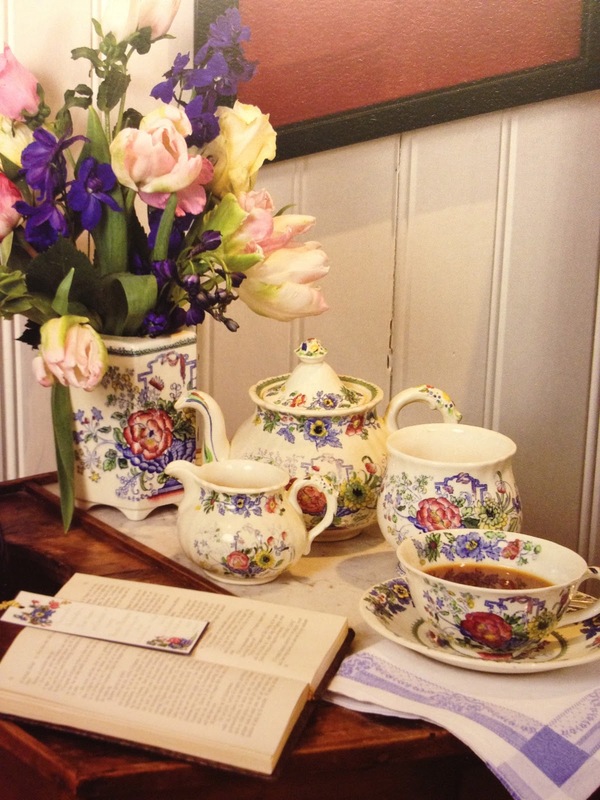 I love that china as well....your tablescapes are always so lovely...I think that book has your name written all over it! Congrats on the win...My son and daughter in law gifted her book to me last year..I love it..it is so wonderful!...Beautiful images!